The very strange thing is that the chamber pressure is 500+ PSI where the feed pressure is 250 or so. I believed I had a data collection anomoly. I do not. I just finished testing the pressure transducer and checking out the wireing and it is all correct. The calibration of the ggraph is also correct. So the only possible conclusion is that I have a resonant pulse jet with the check valves. I’m going to run it again with a lot higher pressure and higher time resolution pressure transducer in place. 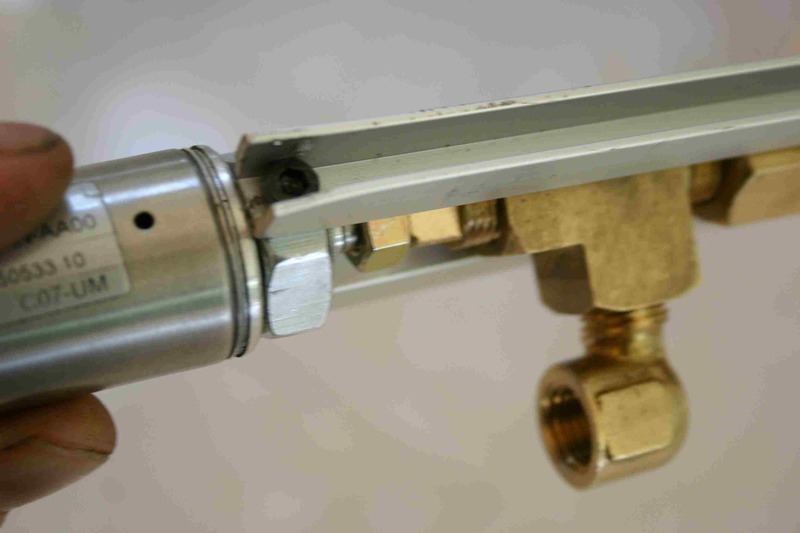 We are running the main tank pressure on the vehicle at very close to the absolute minimum spcified by the FAA experimental vehicle strucural guidlines. 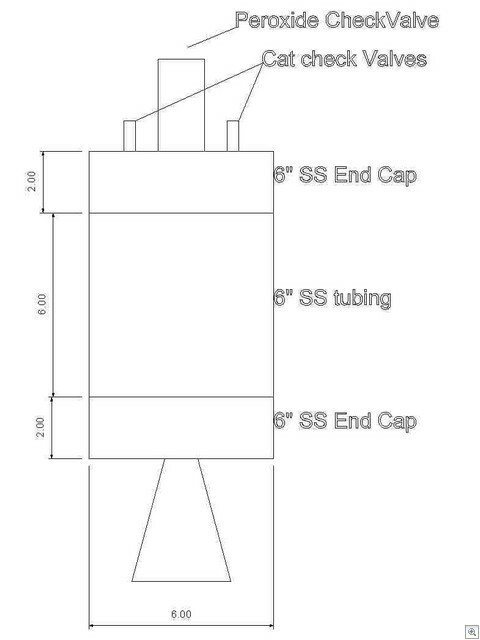 Our design pressure has a safety factor of two, but our test pressure has a SF of 1.25. What does this mean? It means that no human should be within the blast radius while it is presurized. This implies a remote actuated quick disconnect. A simple thing in concept a whole afternoon in acutality. The Quick disconnect needs to be reliable, and rugged. Each time its actuated its going to fall from several feet into the dirt or onto concrete. 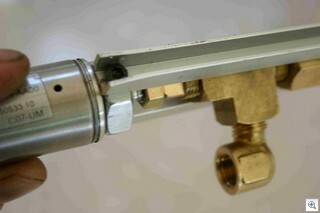 Two Aluminum arms are hose clamped to the barrel of a normal penumatic quick discconnect. These arms are fastend to the nut at the front end of an aircylinder (Mcmaster carr 6498K171) The plunger of the air cylinder threads into the back side of a brass plug that has been taped to match the aircylinder rod end thread. 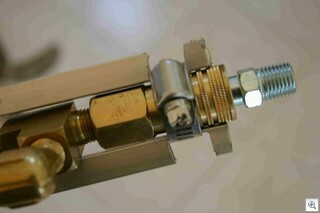 The brass plug pushes on the brass Tee and the aluminum arms pull the QD free. It works really well and is almost insdstructable. Here is the totally bogus video tour. 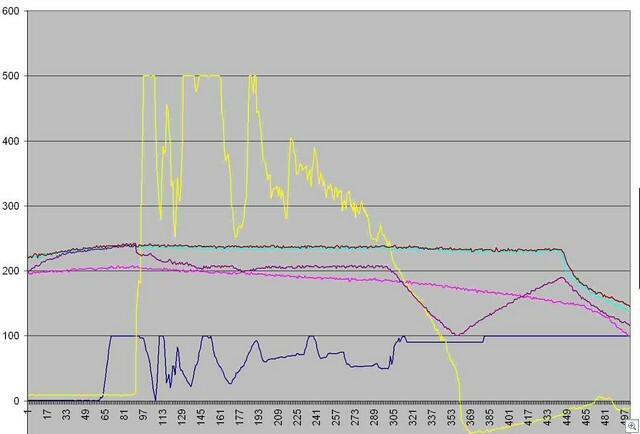 Telemetry, Software, GPS, and progress. Sorry for the long delay in the blog posts, all is going well its just been a busy summer. I’ve been doing embedded hardware/software development for a very long time. (More than 20 years) One of the things I’ve learned is that you NEVER ever ignore a glitch. Even a harmless glitch. If you don’t exactly understand why its weird, find out. I’ve had a long running glitch in the Helicopter systems telemetry. Since this is the same exact software base I’m going to use on the rocket I needed to hunt it down before I was willing to risk the rocket vehicle. In our last outing to the desert we packed up to go home around sunset. In the haste to get going I set something very heavy on the telemetry suitcase and by the time we were off the dirt road it was crushed. It looked like a sturdy aluminum box, alas that was only an illusion. So since my last update I’ve rebuilt the telemetry ground station in a ,much sturdier Rugged Pelican case. In the process of rebuilding that I’ve also been working to hunt down the telemetry glitches and to add a Differential GPS correction to the system by having a differential reference GPS receiver in the telemetry suitcase. All of these pieces don’t seem like much but these sort of details all take time. So I have this all worked out. 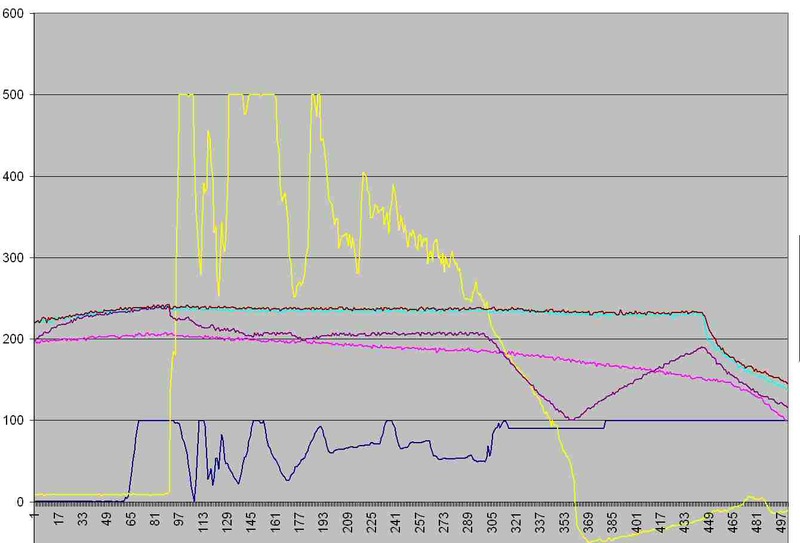 The Netburner/Coldfire cpu in the telemetry box automatically initialized the differential GPS receiver and starts sending these corrections over the telemetry link, while the helicopter send telemetry back to the telemetry box through the same link. Getting all these pieces to talk and coexist without ANY glitches has taken me close to three weeks. Some of the problems on the way were Bad GPS antenna cable, misunderstanding the GPS manual on how to set up differential, dead Maxstream telemetry radio, incompatible Firmware revisions in the Radios, and feature creep in the helicopter where we were trying to send more data that the link could handle. I also took the 4th of July off to relax. I also spent some time cleaning up the helicopter code base as to make the rocket and helicopter more similar from a software standpoint. I offered to write up the code for the helicopter project for a magazine and it looks like that will turn into a several article project. Probably only one of which will get submitted before the contest in October. The news from the FAA is all good so far, our review is underway with only minor clarifications needed. Lastly I’ve been talking to a company that might provide some sponsorship, its an almost ideal fit and I have high hopes. Sponsorship is not absolutely needed, but it would also be nice to extract some value from the “Unreasonable” effort.